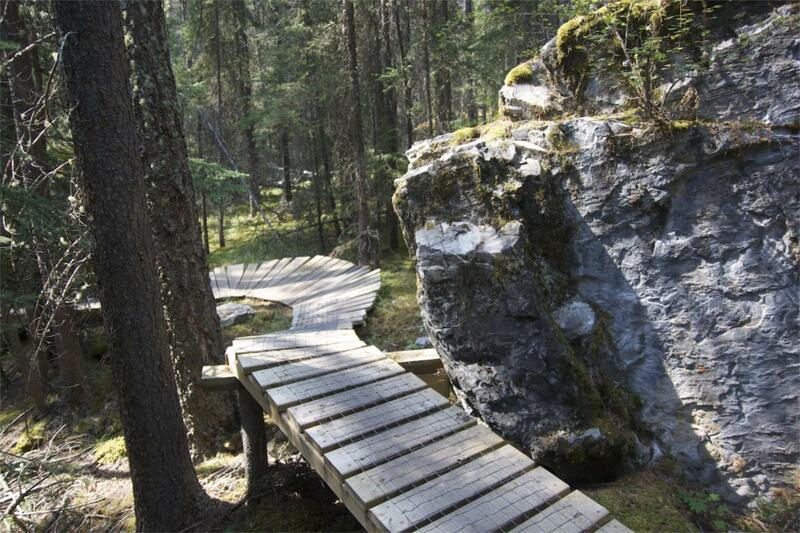 Topp Notch is the first purpose-built mountain bike trail in a Canadian national park. As you might expect, this trail is a work of art! Fantastic benchcutting, delicious berms, technical rock gardens, awesome bridges, and fantastic flow all combine to create an extremely varied mountain bike experience in a gorgeous locale. Oh, and did I mention, that this masterpiece was built completely by hand? Review: This is just yet another great trail in the Banff area and has the best build-quality that I've ever seen. From the smooth (but feature-ridden) switchbacks of the upper portion to the technical trials of the bottom, is trail will separate the boys from the men according to technical capabilities. Be aware of the giant rock slab on one of the switchbacks because if you hit that sucker too fast, you'll most certainly go OTB. 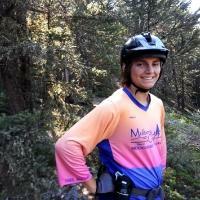 Review: My wife and I were rolling through Banff camping with our 2 year old son and we had limited time to hit the trails. I had a 1 hour window in the rain and decided to try Topp Notch. Note: we live in North Vancouver so have the privilege of riding some very sweet X-country trails. Topp Notch started slow but by the midway point I was grinning like a fool and concentrating on every awesome upcoming feature. Tons of variety, tight, rocky, technical sections followed by flowy faster runs. The trail lives up to its name. Review: One of the most creative trails I've ridden! Berms, twitchy slow sections, ladder bridges, and more. Super fun and challenging! Review: Topp Notch is pretty short, but this trail may be one of the most inspired mountain biking trails I've ever ridden! The utterly unique features and trail design make this absurdly entertaining. If you're anywhere close to Banff, you need to ride here! Topp Notch MTB Trail 5.00 out of 5 based on 4 ratings. 4 user reviews.